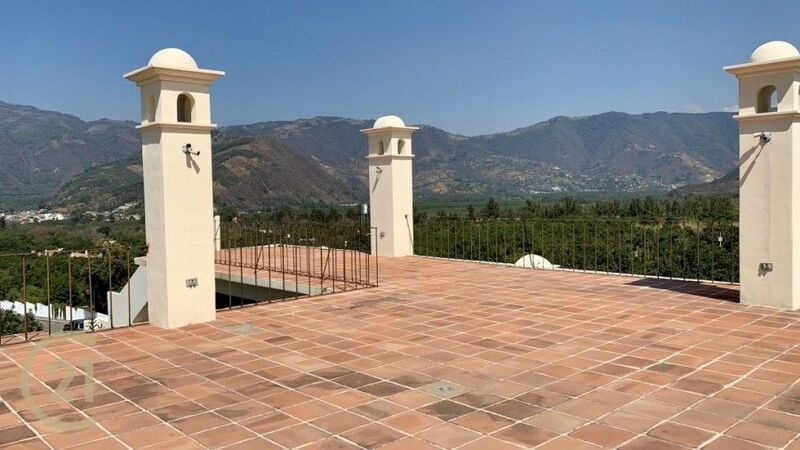 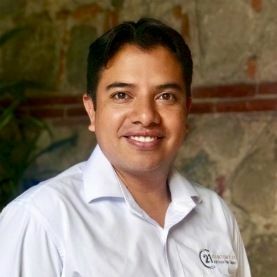 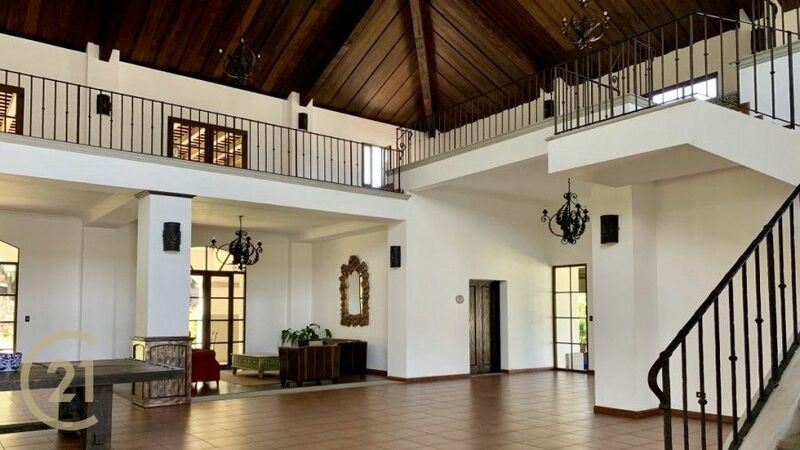 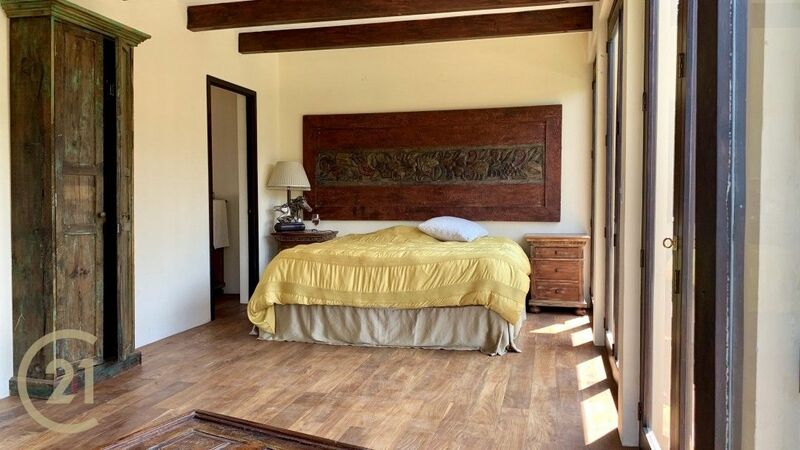 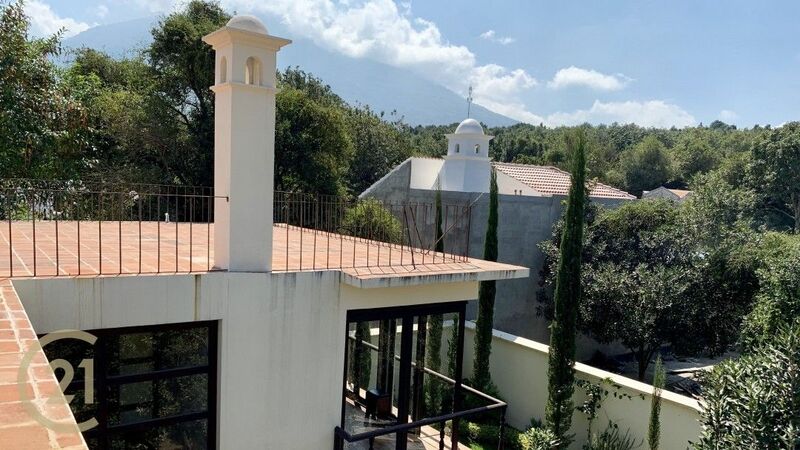 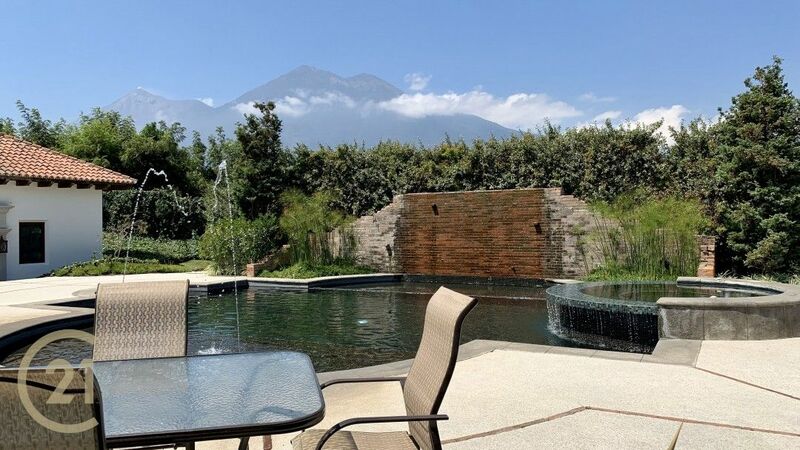 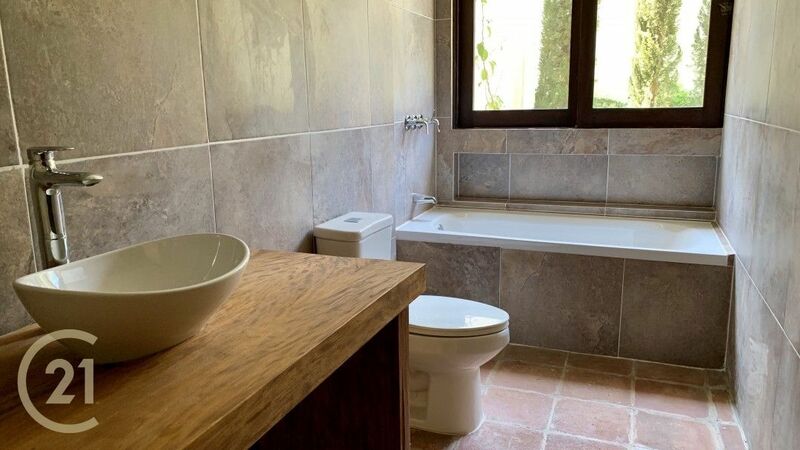 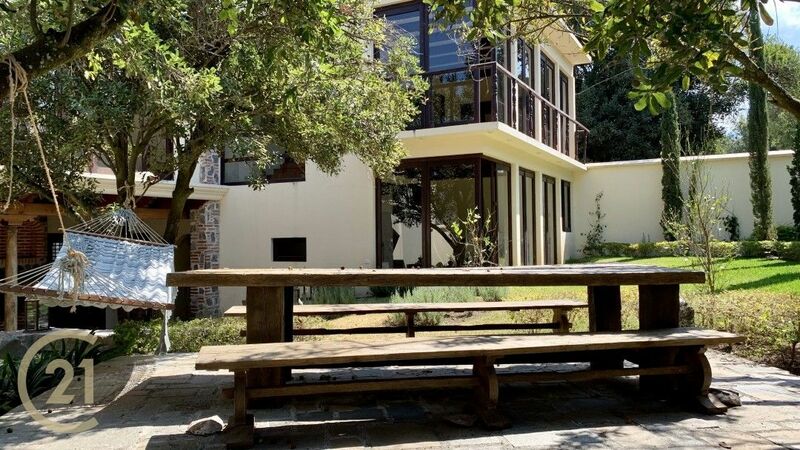 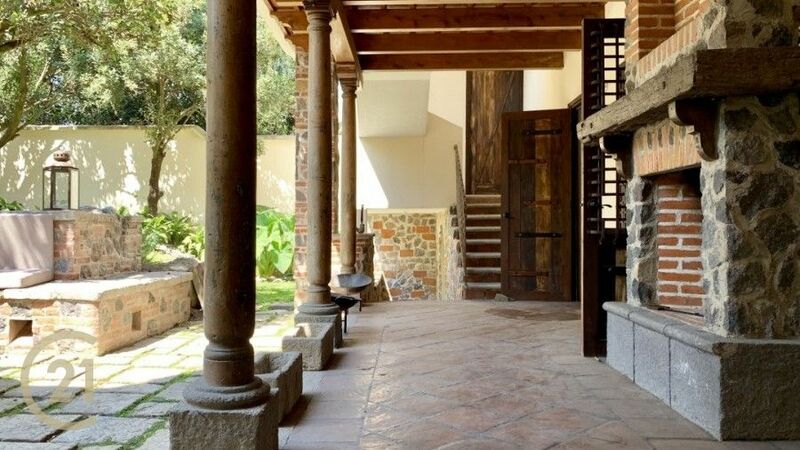 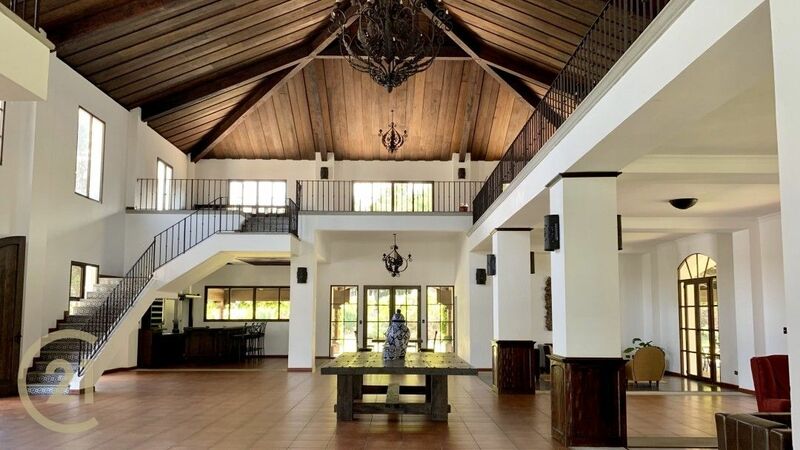 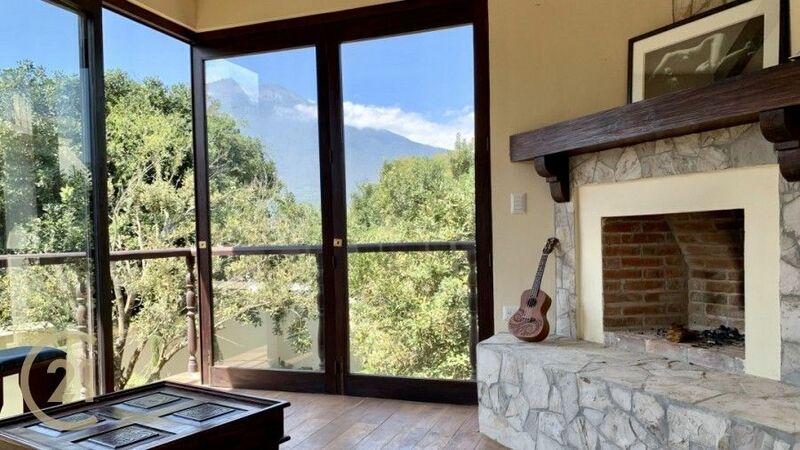 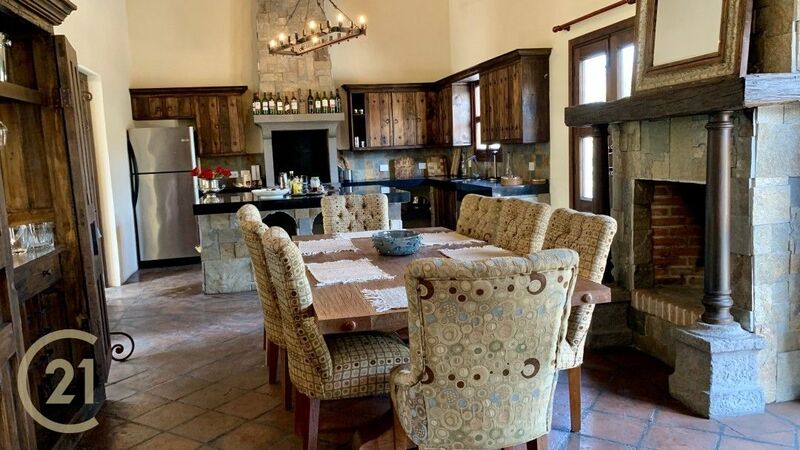 Located in Hacienda del Comendador a beautiful and peaceful gated community minutes drive to Antigua Guatemala (San Miguel Duenas). 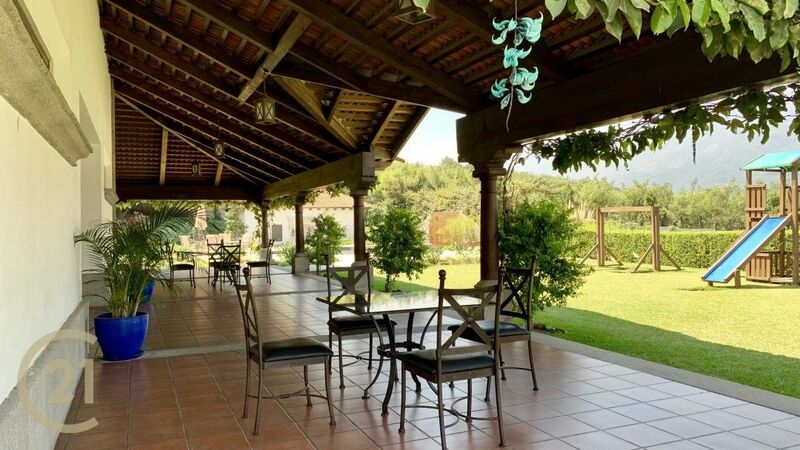 This villa and its landscape are a unique blend of green hues, sky blues and house whites. 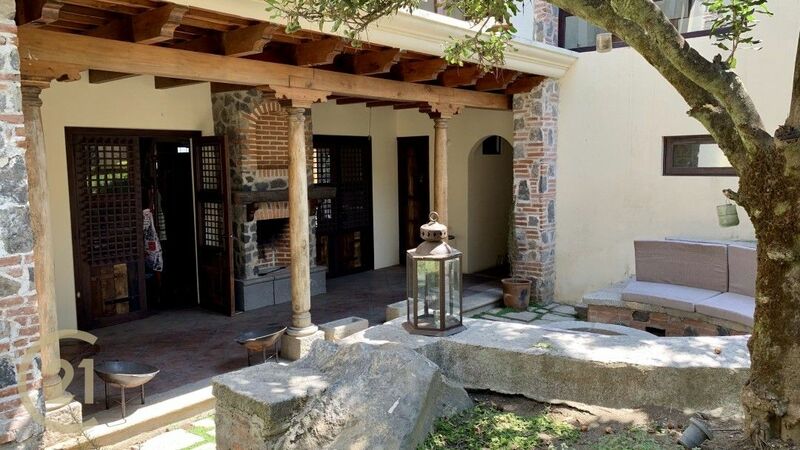 Outside the residence you sense the calm of its cobblestone streets. 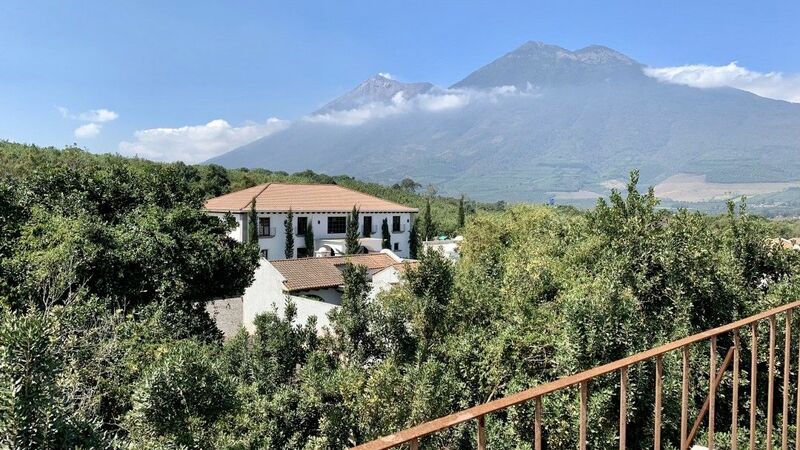 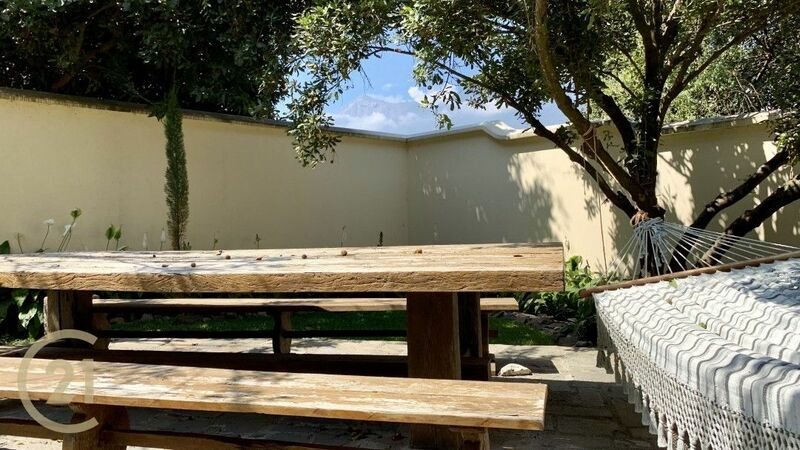 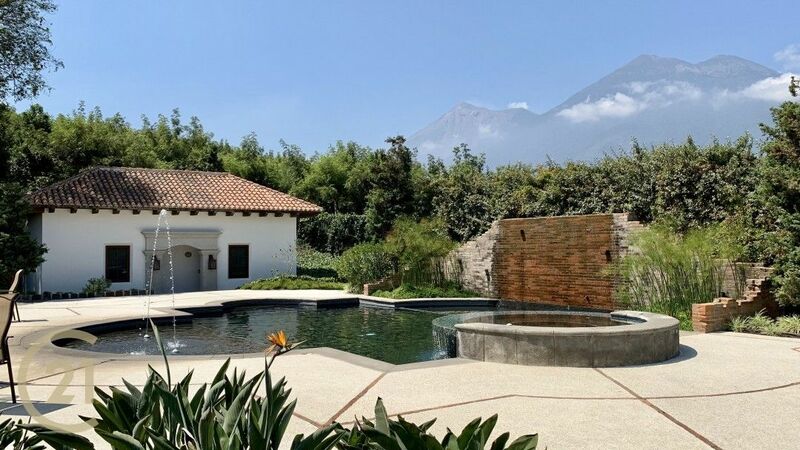 While the architectural style grants an out-ofdoors feel, the house itself is designed to be comfortable and is situated to enjoy the incredible views of the surrounding volcanoes. 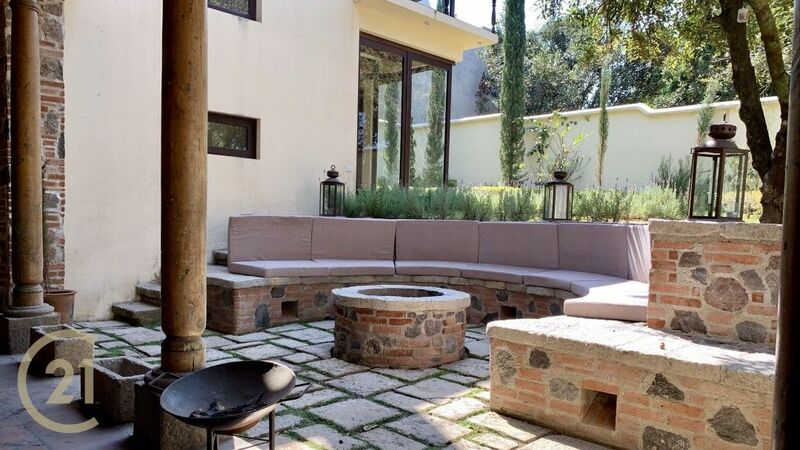 The open space of its terraces flesh out the interior of the house. 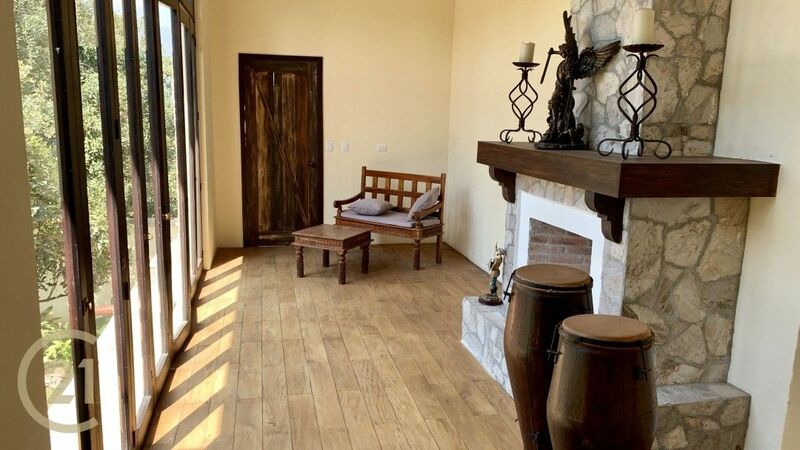 The property sits on two titled lots and consists of a main house with 3 bedrooms, 4 complete stylish bathrooms and a separate bedroom with bath. 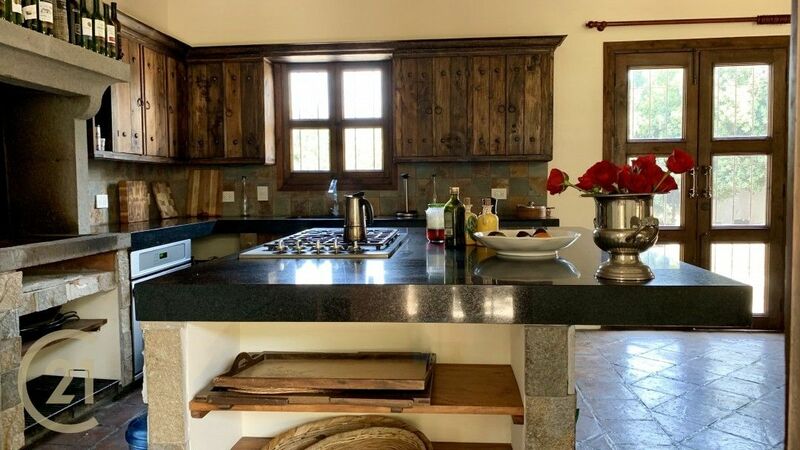 Cozy kitchen with black granite countertops and stone plated wood-burning stove. 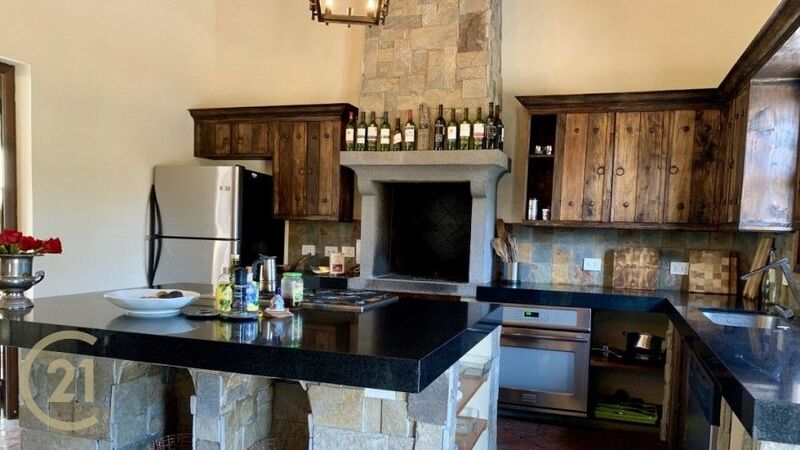 The pendant lamps above the island are an architectural statement. 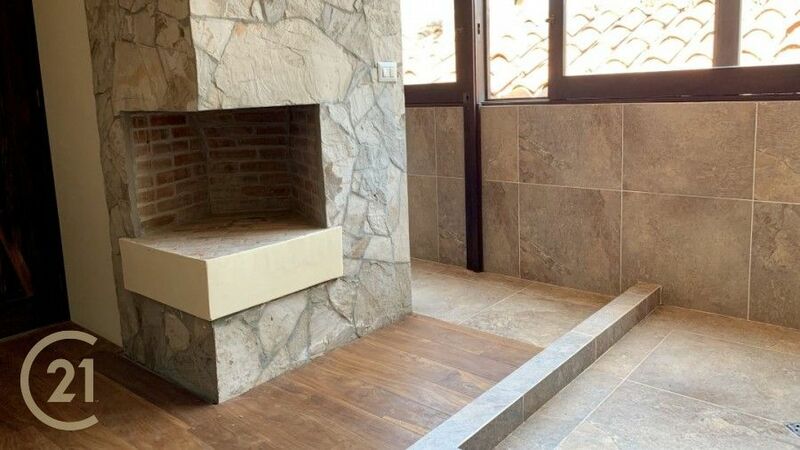 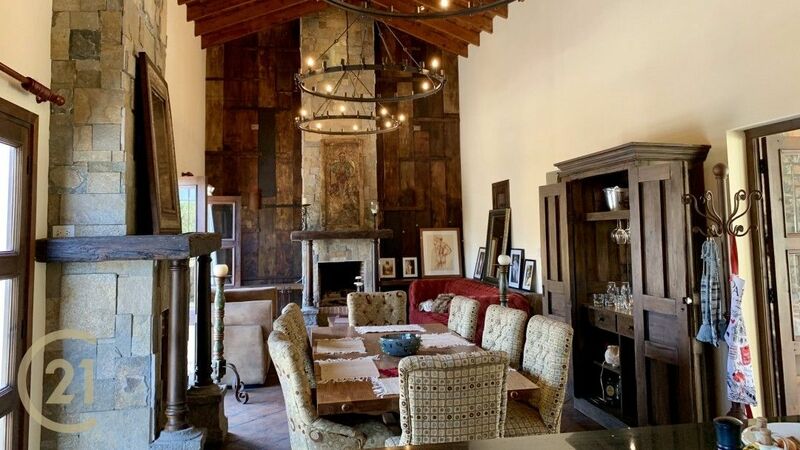 There are 9 fireplaces fashioned from antique railroad woods that provide warmth and add a sense of connectivity throughout the space. 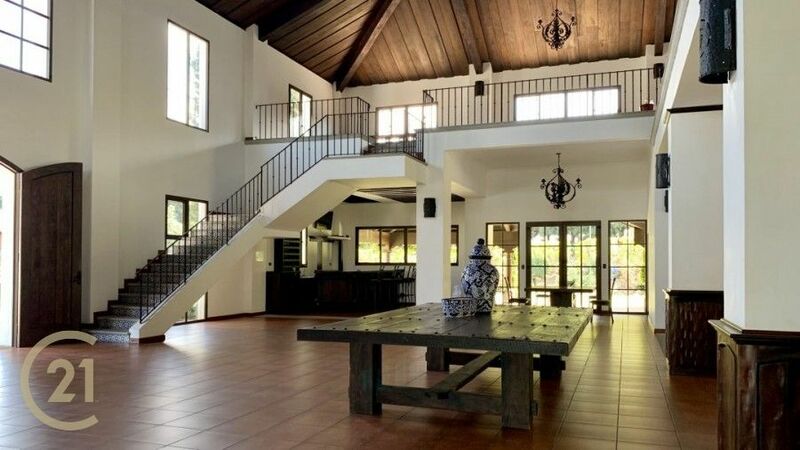 Light penetrates its sizable windows flooding entire areas with sunbeams. The outside is substantial, offering outdoor dining and a fire pit encircled by macadamia trees. 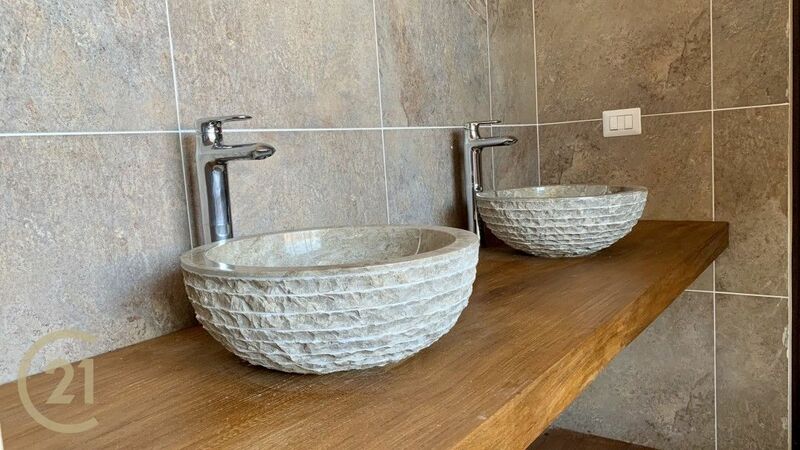 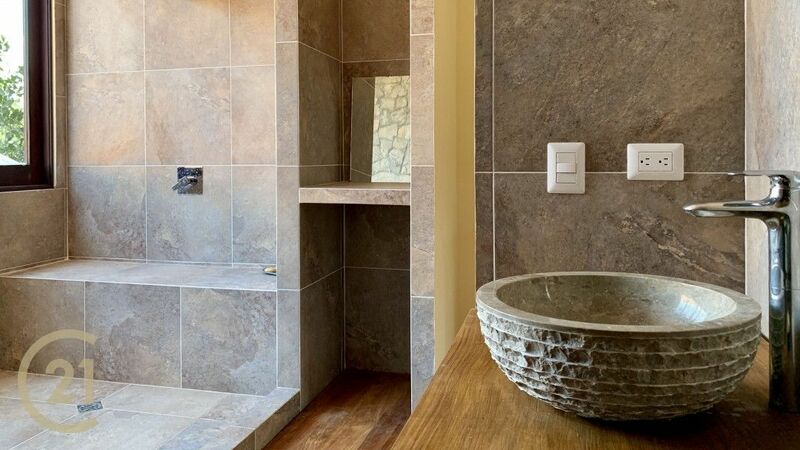 There are places, such as Villa Las Leñas, in which peculiar conception reveals superb yet essential details. 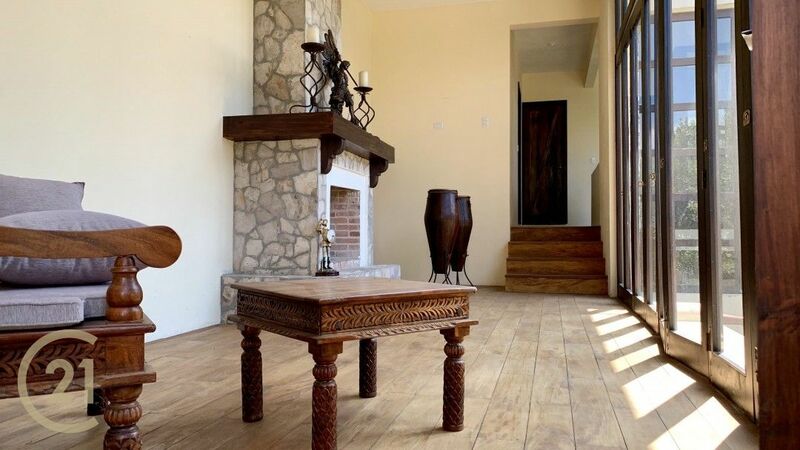 Click here to search our homes for rent.